This amazing category of frames produced by us is very popular in the market for its eye-catching beauty. 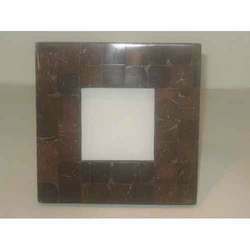 The elegant coco color of this frame makes it a captivating focal point for your décor. It has been designed by our team of perfectionists to give a unique style to your office, house, etc. 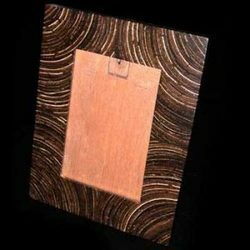 This highly splendid and mesmerizing Coconut shell Photo Frame is an exclusive gift for sweetheart. Our designers have poured their heart out by enhancing the looks of these Photo Frame with a plethora of colored patterns. Coconut Shell Handicrafts (Photo Frames 12"